The Wasatch Mountains, with three wilderness areas and hundreds of miles of trails, offer a treasure land of outdoor opportunities within easy reach of nearly a million people. Yet the steep rugged terrain can seem intimidating to new hikers and many parts of the Wasatch are relatively unknown and seldom visited. 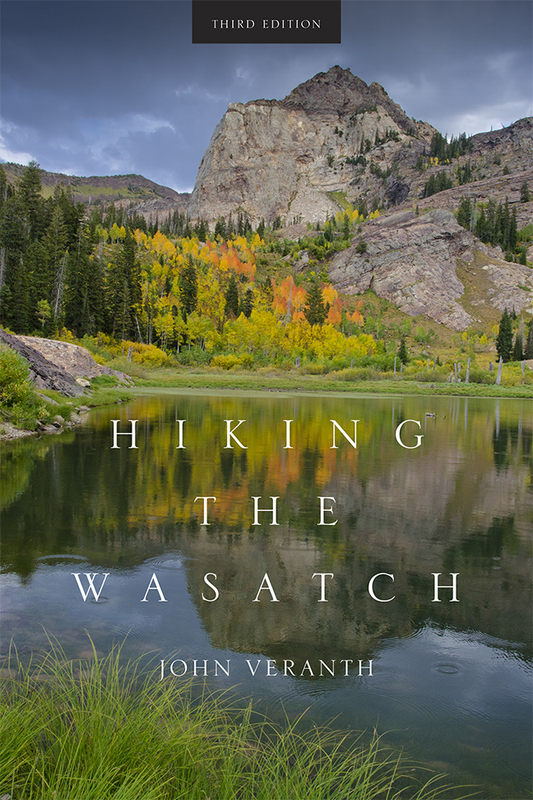 John Veranth has hiked all over these mountains and has written a comprehensive guidebook for both the beginner and the expert hiker. Trail descriptions range from nearly level walks requiring less than an hour to ascents that challenge experienced mountaineers. To assist in selecting an appropriate trail, hikes are listed according to best season, time required, objective, and desired level of difficulty. The easy trails have the most detailed descriptions to aid beginners, while expert trails have sparse descriptions to preserve the adventure. Maps, photos, and line drawings are included and detailed driving directions to the trailheads are consolidated to save repetition. The area’s geology, flora and fauna, and human history are also discussed to further appreciation of this mountain environment. Since the first publication of Hiking the Wasatch, there have been numerous changes to these trails, especially along the foothill-urban interface. This revised third edition contains full updates based on the author’s field checking, comments from members of the Wasatch Mountain Club, and information from land-management agencies. Hiking the Wasatch is an essential resource for exploring these mountain trails. John Veranth is president of the Wasatch Mountain Club and an avid hiker. His love of mountains prompted him years ago to move from the East Coast to Utah; he has been exploring the Wasatch ever since. When not outdoors, he works as a research associate professor at the University of Utah, where he studies the health effects of fine particles in the air. “Still considered the most definitive and accurate guide to the Cottonwood Canyons, Mill Creek Canyon, and other areas on the Wasatch Front." –Salt Lake Magazine, "5 Best Guidebooks to Utah's Outdoors"